Home » Our Doctors » Matt Esperon, O.D. I am often asked by my patients about how I became interested in optometry as a career. My answer is always, "bad eyes." I grew up in Hacienda Heights, CA, which is about a half hour from Los Angeles. I began wearing contact lenses in high school, and quickly began to abuse them and overwear them. Because I misused my contact lenses so much, I gave myself multiple corneal ulcers. Needless to say, I spent a lot of time in my optometrist's office to care for these ulcers. Due to that in depth introduction to the profession of optometry, I became very interested in what the doctors were doing to my eyes. After I graduated high school, I attended University of California San Diego. I began studying for a major in Ecology, Behavior and Evolution. I was fascinated learning about how different animal physiologies adapted to their environment. I knew that I wanted to continue to optometry school, and my original major didn't align with the required coursework for optometry. I changed my major, and earned a degree in Animal Physiology and Neuroscience. 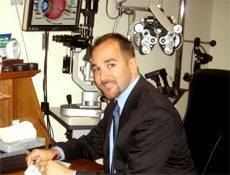 While I attended school, I also worked for a few different optometry practices in the San Diego area. The doctors who I consider my first optometry mentors were Dr. Carl Hillier and Dr. Robert Sanet, who had a practice that did a lot of vision therapy and sports vision training. We worked with a lot of professional baseball players, especially the San Diego Padres. They really feuled my passion for the profession, and opened my eyes to different aspects of optometry. After I graduated from UC San Diego, I decided that I wanted to see a different side of the country, so I began optometry school at the SUNY College of Optometry in New York City. While in school, I became involved with the student government, and represented my classmates as the student body president. I also started a Sports Vision Club, whre I had some practicing optometrists come to the school to speak to the students about sports vision, and vision training for athletes. While in school, I earned a scholarship through the Health Scholarship Collegiate program with the US Navy. Most importantly, I met a beautiful young optometry student named Allison LaFata, and we just celebrated our 7th wedding anniversary this year. After graduating from optometry school, I was sent immediately to Officer Indoctrination School in Newport Rhode Island where I began my 3 year commitment to the US Navy. 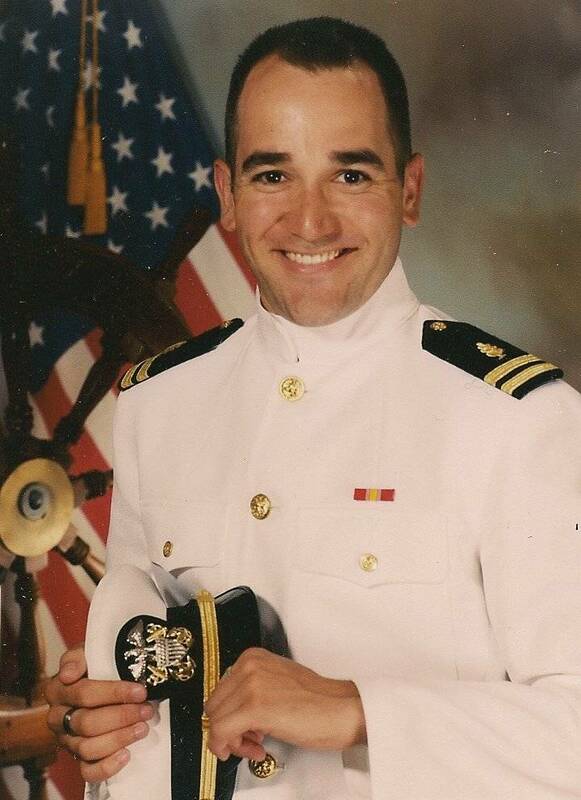 I served 3 years as a Lieutenant and optometrist with the Navy in San Diego. I thoroughly enoyed my time with the Navy, and had an amazing experience learning about the different communities within the Navy. I was able to serve to Navy sailors at the 32nd St. Naval Station, Navy Aviators and Navy SEALS at the North Island Naval Air Station, Marine Corps Recruits at the Marine Corps Recruit Depot, and I earned a fellowship in laser refractive surgery and participated in research involving laser surgery for Navy pilots. I even was able to spend some time aboard the USS Nimitz aircraft carrier while staioned at the North Island Naval Air Station. While I was in school, I volunteered for Special Olympics Opening Eyes athlete screenings, and vision exams with the New Jersey Devils. This is where I met Dr. Berman. When I decided to move back to the East Coast, Dr. Berman took me into his practice as an associate. He later gave the opportunity to buy into the practice as a partner. Dr. Berman unfortunately passed away unexpectedly in 2013, and I have since taken over the practice. Dr. Berman was a great man, and I learned a tremendous amount from him about how to run a business, but more importantly, how to creat and nurture long-lasting relationships with patients, as well as optometry colleagues. Here at Focus, I have tried to constantly develop my knowledge as a doctor, as well as grow the practice to be able to serve our patients to the best of my ability. I have been blessed with a wonderful, hard working and caring staff to help me, as well as 2 fantastic optometry associates. 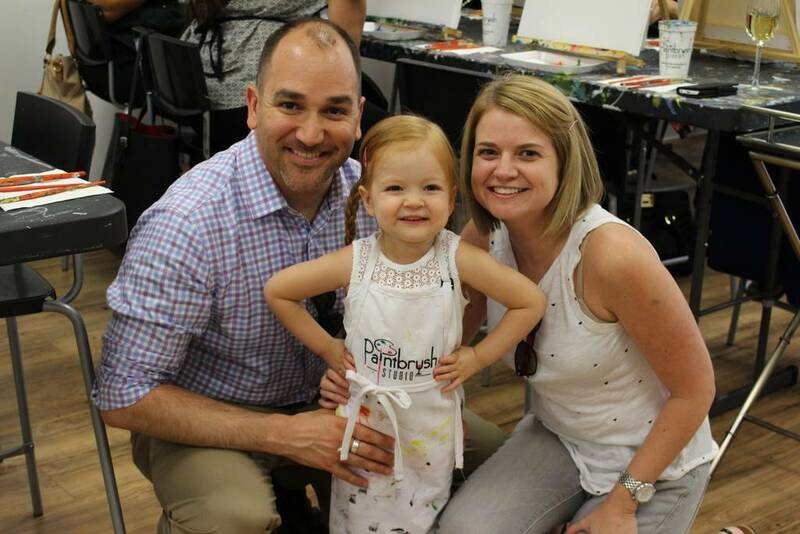 In my rare free time, I enjoy spending time with my wife Allie, who is also an optometrist, and my daughter Emma. I also enjoy finding new experiences and seeing new things with my family, and we travel to see my family in California whenever we can get away. I love to read, and I am a big fan of movies. I have recently gotten more into cooking, and I try to snowboard whenever I can.